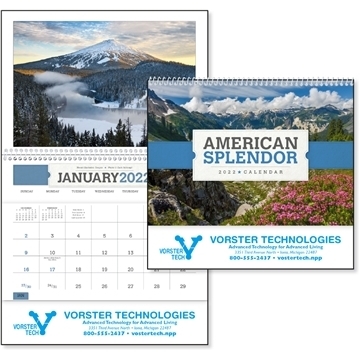 Always popular, this handy calendar features 12 beautiful photographs and a convenient storage pocket each month. Reverse collated for storing items all year. Top markets: insurance, financial, retail. the price and quality of the product was great. the size of the ecofriendly bag was just right. I am very satisfied with both the product and the price. they are a great, cost effective way to keep our name before our folks.